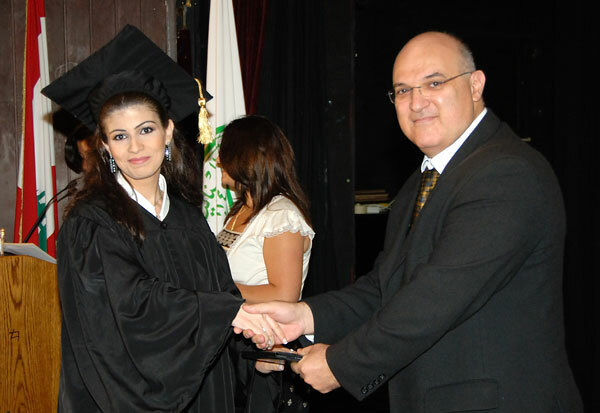 LAU’s Continuing Education Program celebrated the results of its recent expansion drive with a graduation ceremony. CEP Acting Director Michel Majdalani gives the preschool education certificate to a graduate. 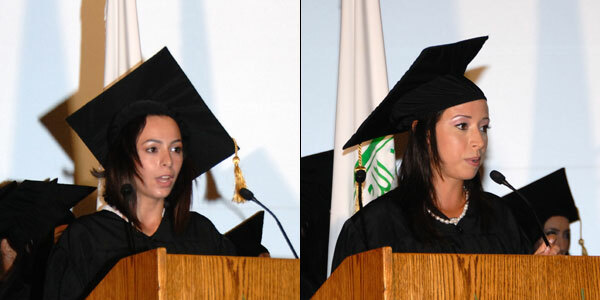 Fatima Kassir, a preschool education graduate with honors, and Nisrine Katorgi, an executive office management graduate with distinction, give their speeches during the commencement ceremony. Officials cutting the graduation cake. Preschool education graduates with program officials. 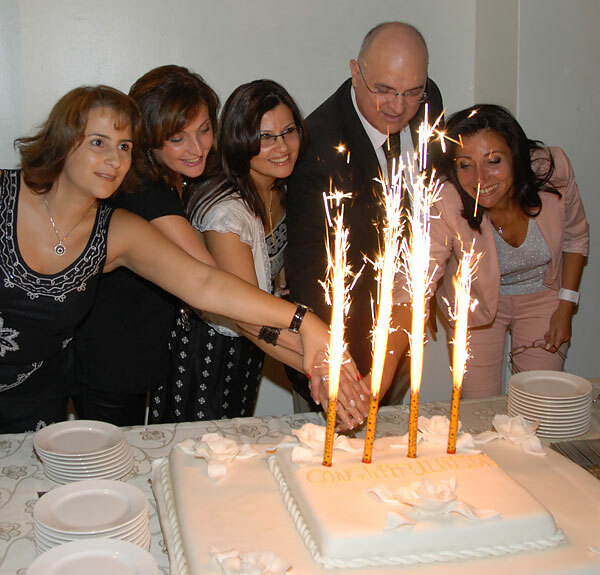 LAU’s Continuing Education Program has been rethinking its curricula and expanding its offerings, and it celebrated the results of this drive with a graduation ceremony last month. Cooperating with LAU’s academic departments and faculty, CEP carries out outreach, educational and training programs for the Lebanese community. The programs cater to non-traditional students and professionals that want to enhance their career options. CEP recently added preparatory courses for professional certification tests in financial analysis, accounting, information systems auditing, information security management, and human resources. Certificate programs in preschool education, executive office management, professional fitness, English for professionals, and business for non-business managers are also available. The courses offered also include other languages, computer graphics, arts, physical education, and special curricula for suspended students. Many of the courses are run on campus after working hours. The office provides walk-in admission and counseling. These programs “provide adult learners with a curriculum that is regularly adjusted to social changes and marketplace development with flexible schedule, contents and presentation,” said CEP Acting Director Michel Majdalani during the graduation ceremony in Beirut. They “are an attractive and convenient means for personal and professional growth,” he added.